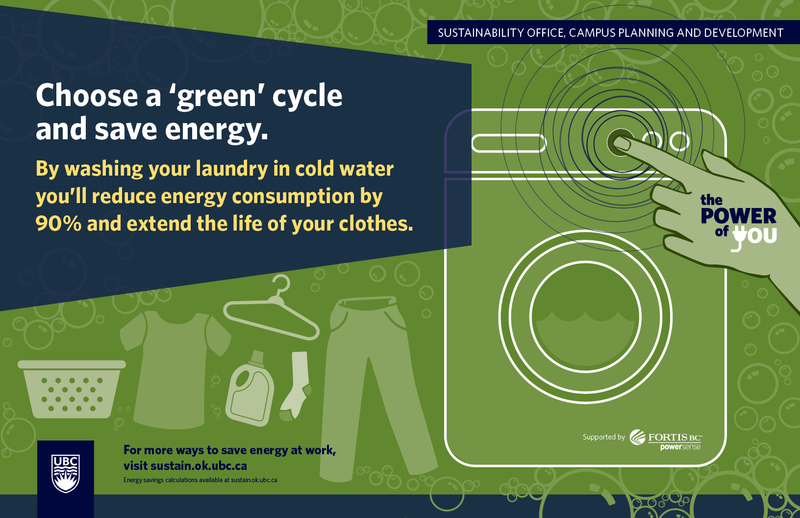 By implementing one action during your laundry routine you can reduce your energy consumption by 90% and extend the life of your clothes. How? Choose to wash your laundry in cold water. 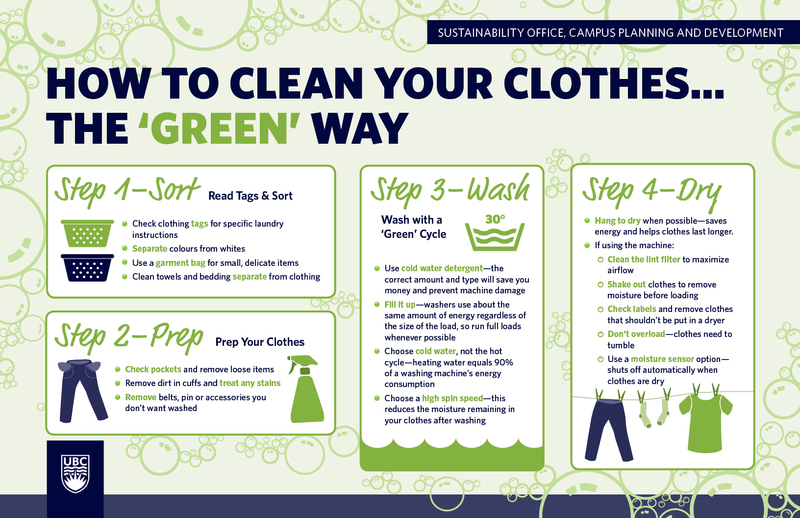 Washing 4 out of 5 loads of laundry in cold water can cut out 864 pounds of CO2 emissions in a year. That is equivalent to planting .37 acres of forest. Shoot for the stars and wash all your loads in cold! Drying your laundry is also important – using a timed dry ensures the dryer turns off when the clothes are dry. Even better, air drying conserves the most energy and extends the life of your clothes even further. Myth: Hot water is the only way to sanitize your laundry. Fact: Using the correct type of detergent and laundry additives will disinfect laundry in cold water. Sanitizing via water is only effective if the water is at a rolling boil, which is not the case in washing machines. Myth: You need hot water to get out hard stains, i.e., grass, make-up and blood. Fact: You only need cold water to wash these stains out as hot water could make the stains permanent. Myth: All clothes, towels and delicates can be washed together under the same cycle type. Fact: Check your clothing and garment labels and you will see that many clothes indicate that you wash them in cool or cold water. Cold water is gentler on clothes and will keep them from shrinking, fading and colour-bleed. Myth: Overloading washer will still give you clean clothes. Fact: Don’t overload washer. Clothes need room to move to get clean – let the agitator do its job. Fact: About 90% of the energy used by a washing machine goes towards heating the water. 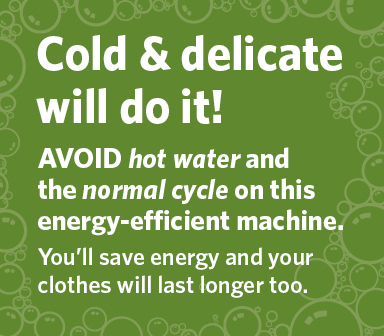 Switching your wash to cold water will reduce energy consumption and carbon emissions.